From the north, exit Wilshire east; or from the south, exit Wilshire Westwood. At the third traffic light, turn left on Westwood Blvd. Proceed across Le Conte Avenue and at the next light, Medical Plaza Drive, turn left and follow the ramp down to the parking lot below. Take the San Diego Freeway (405) northbound to Wilshire Boulevard east, and continue as described above. Take 10 (Santa Monica Fwy.) east to 405 (San Diego Fwy.) north, and exit on Wilshire Blvd. east. Continue as described above. From Westwood Blvd, proceed across Le Conte Ave. and make a left at the next light, Medical Plaza Drive. Follow the ramp to the paid parking lot below. For patients who use UCLA Medical Plaza services frequently, 10-day and 30-day parking passes are available at significantly reduced rates. For more information, call (310) 794-1276. From the north, exit Wilshire east; or from the south, exit Wilshire Westwood. Turn Left on Westwood Blvd. and the Voice Center will be on your right side in the Bank of America building, just past Weyburn Ave. Heading toward campus on Westwood Blvd., turn right onto Weyburn Ave. Make your first left into the parking entrance. There is another entrance if you make a right from Westwood Blvd. onto Le Conte. Then make your first right into the parking entrance. Our appointment schedulers are available from 8 am - 5 pm, Monday - Friday to assist you to make an appointment in Santa Monica. Paid underground parking is available (accessed via 12th Street). There is also metered parking on Wilshire Blvd and limited street parking on 12th Street. Our appointment schedulers are available from 8 am - 5 pm, Monday to Friday to assist you to make an appointment in Thousand Oaks. Upon entering the building, please check the building directory inside on the first floor as you enter the building to ensure you going to the appropriate suite. Our appointment schedulers are available from 8:00 am to 5:00 pm Monday through Friday to assist you in making an appointment. 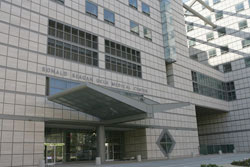 Patients and visitors to Ronald Reagan UCLA Medical Center have valet parking services available on Westwood Plaza. When leaving, you will retrieve your vehicle from the Valet Lobby located on Level P.
You may also choose to use the UCLA Medical Plaza paid parking garage. Once you cross Le Conte Avenue, turn left at Medical Plaza Drive and follow the ramp down to the parking lot below. 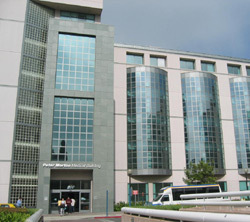 For a current list of parking fees, visit Ronald Reagan UCLA Medical Center website. Parking is in short supply throughout Santa Monica, including the area near UCLA Medical Center, Santa Monica. There are, however, several parking options available to patients and visitors. Some of these options include: Valet Services at 16th Street hospital entrance, garage parking at 1260 15th Street building, and 1245 16th Street building, and more. Metered street parking is in effect every day, except Sunday. Please read street signs carefully. 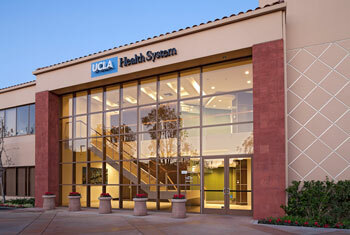 For a complete list of parking locations, hours and fees visit the UCLA Medical Center, Santa Monica website.